AEW provided engineering design and contract administration for the reconstruction of approximately one mile on Martin Road between Van Dyke Avenue and Hoover Road, including the replacement of an 8 inch water main with a 12 inch water main. 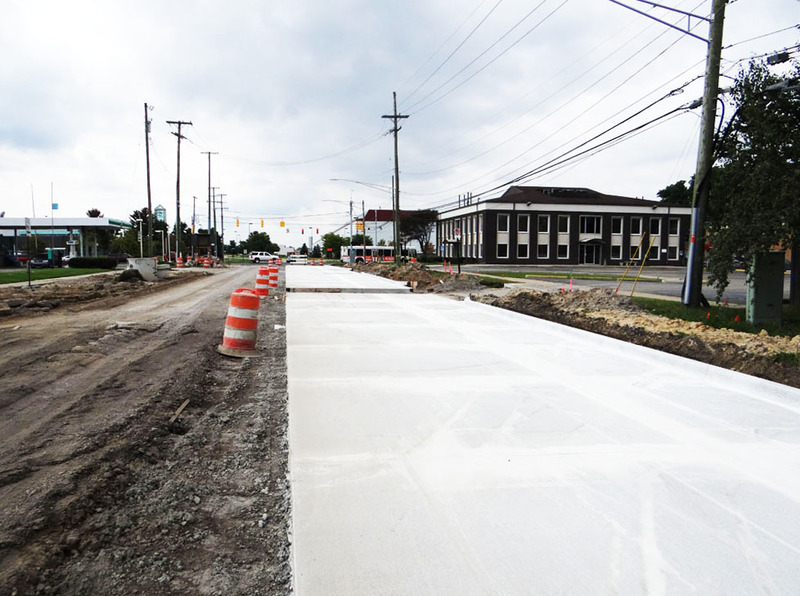 Project construction observation services were performed as a join effort between AEW and the City of Warren. The water main replacement work included installation of a new water main, gate valves in wells, hydrants, and other services while the concrete reconstruction work included complete reoval of the existing pavement and underlying sub base, placement of new concrete pavement with integral curb and gutter on an aggregate base, subgrade under-drain installation, drainage structure improvements, storm sewer replacement, driveway and sidewalk replacement, side street approach improvements and sidewalk ramp upgrades.